E mily Cabot isn’t given much of a choice when Bertha Palmer needs a social secretary at the Paris Exposition of 1900. But shadows begin falling on the fair when Mrs. Palmer’s necklace goes missing. Then a young woman winds up dead and even more jewelry turns up missing. With suspicion falling on Mrs. Palmer’s son, Emily races to clear the family name before the police decide to make an arrest. When Frances McNamara initially reached out to see if I would review Death at the Paris Exposition, I was a bit hesitant to agree. Neither the title nor the cover really did anything for me, but I decided to read a preview of the book. And I’m very glad that I did because this book was fantastic. Death at the Paris Exposition is a leisurely historical mystery. It intertwines the complicated social circles of the upper class, the fashions of 1900, and the mystery itself. There’s not a huge rush to get to the solution , but there’s plenty of tension to keep a reader reading. The mystery was plenty interesting and had me unsure about the culprit’s identity until the final pages. I really liked Emily Cabot as a narrator. She’s not a professional detective, but she has the deductive skills to find solutions to mysteries. Another aspect of her that I haven’t seen much of before is that she’s a married woman with three children. Additionally, she seems to have a great relationship with her family. It was refreshing to have a female protagonist who was normal. The last thing I’d like to say is that Death at the Paris Exposition struck me as very well researched. While I’m not terribly familiar with Paris in the 1900’s, the terms that McNamara used in reference to the clothing and the layout of the city rang true. Death at the Paris Exposition would be perfect for a reader interested in historical mysteries. It’s the sixth in the Emily Cabot mystery series, but can absolutely be read as a standalone. 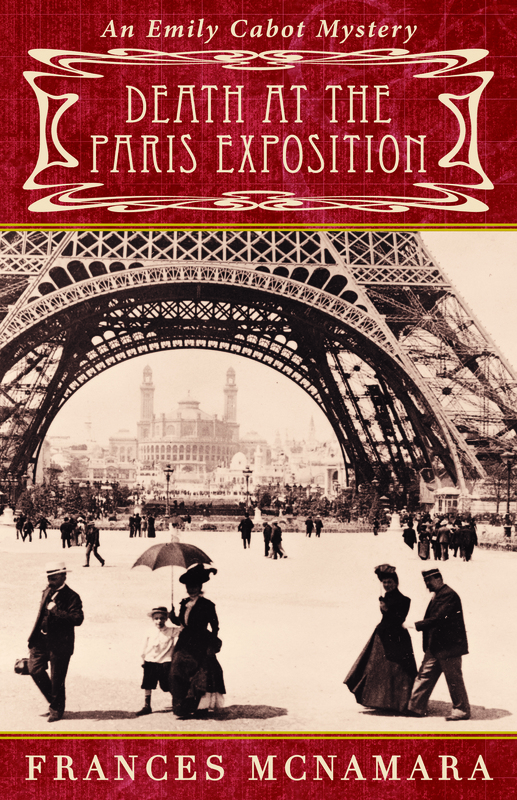 Death at the Paris Exposition by Frances McNamara is available from Allium Press. **I received an ARC of this book free of charge from the author. In spite of that, this is an honest review of Death at the Paris Exposition.